We're celebrating 10+ years of feeding the hungry ... body and soul! 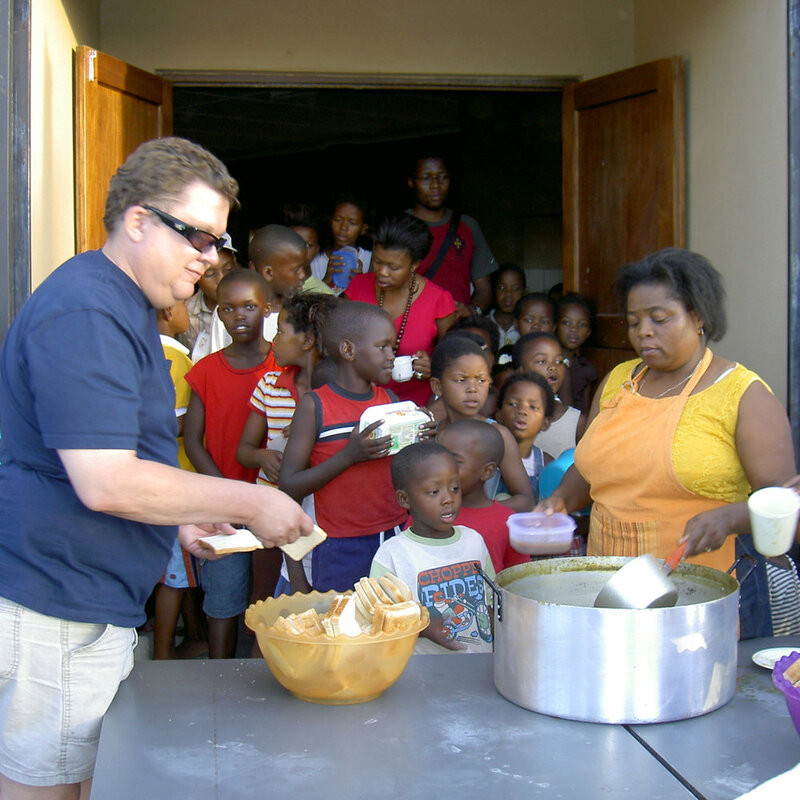 In February 2008, Jae, Debra, and a small team of dedicated South Africans opened the doors of the first Super Kitchen. What started as one centralized kitchen in Paarl has grown to a network of Super Kitchens around the world. The numbers collected over the years tell some special stories! If you line up the bowls it took to serve 17 million meals, you would be driving for 29 hours to cover the distance of 1,878 miles. Road trip anyone? 150 ministry partners serve meals Monday-Friday. That's like catering 36,000 parties in a given year. Cheers! OTB giant pots cook 1,000 meals an hour! One pot of chicken tortilla soup calls for 3 boxes, about 145 pounds, of tomatoes. And we usually double the recipe! OTB's Super Kitchen rotate through regionally specific recipes where meals are rarely repeated in a month. Can you imagine? Picture from the foundational years of Outside the Bowl.